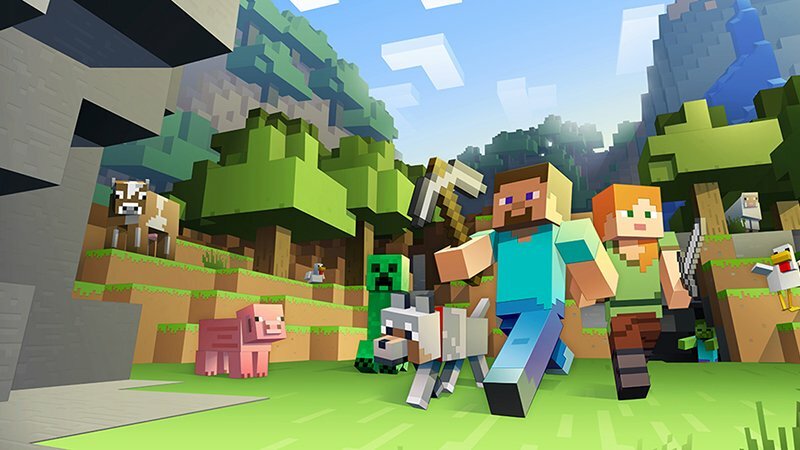 It’s been a long road of development for the adaptation of the groundbreaking game Minecraft to get to the big screen and developer Mojang has announced via their website that the film not only has a new release date, but is also making progress behind the scenes. The film, which is being written and directed by Peter Sollett (Nick and Norah’s Infinite Playlist), will follow a teenage girl and her unlikely group of adventurers who, after the malevolent Ender Dragon sets out on a path of destruction, must save their beautiful, blocky Overworld. In the post, the developer not only announces a 2022 release date, but it also reveals that they are working closely with Sollett and Warner Bros. to ensure that the movie will be different from the game in the right ways and that it will deliver a quality product for the audiences. The adaptation has been in development for five years now after Warner Bros. won the battle for the rights to the video game, with Shawn Levy (Stranger Things) originally attached to direct and Jason Fuchs (Wonder Woman) penning the script, but after the pair exited, It’s Always Sunny in Philadelphia‘s Rob McElhenney signed on to direct and write the film, but he also exited the project last August, putting the project back into development turnaround. Beautiful Boy‘s Steve Carell has also been rumored to star in the film since 2016, but no official casting has been made. The Minecraft movie, based on Markus “Notch” Persson’s video game that encourages players to build blocky, immersive worlds. The game hit consoles back in 2009, and became a huge hit before the big-screen adaptation was first announced two years ago. Now, as the production looks for a new director, it’s unlikely to meet its planned release date in May of 2019. Roy Lee and Jill Messick are still attached to produce the film for Vertigo Entertainment. Aaron and Adam Nee are also attached to write and direct The Masters of the Universe for Sony. Based on the popular Mattel toys and children’s cartoon that tell the adventures of He-Man in his mythical land of Eternia, the film is planning for a December 2019 release date. McElhenney, meanwhile, is currently working on an untitled sitcom pilot with collaborator Rob Rossell. The pilot will star Rob Riggle, Kaitlyn Olson, and Leah Remini, and is currently eyeing a midseason premiere for 2019 or beyond. Minecraft is set to hit theaters on March 4, 2022. The post Minecraft Movie Heading To Theaters in 2022 appeared first on ComingSoon.net.